The image above was taken by the Salt Lake County Assessor in 1937. Salt Lake County Tax Appraisal Cards, serial 9-3609. This building was constructed circa 1915, and over the course of its life has housed families as well as businesses. Alvina Patterson and her husband moved in to the building when it was a residence in 1917, and lived there until at least 1962. Mrs. Patterson stated in a Board of Equalization application to the county that they opened a store a few years after moving in because the block had become commercial. By 1965, the assessor noted that there were 2 little shops, 2 residences, and “a heap of junk” in the building. In 1974, both stores were vacant, but someone was still living in the back of the building. 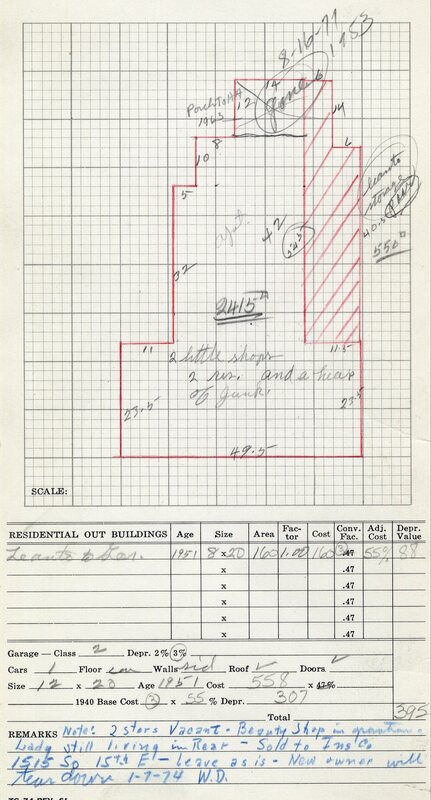 Plot plan of building from 1965. Salt Lake County Tax Appraisal Cards, serial 9-3609. What business occupies this building today? (Hint: They started in 1977, and used to have a cat roaming the shelves). Extra points if you can also name the cat. 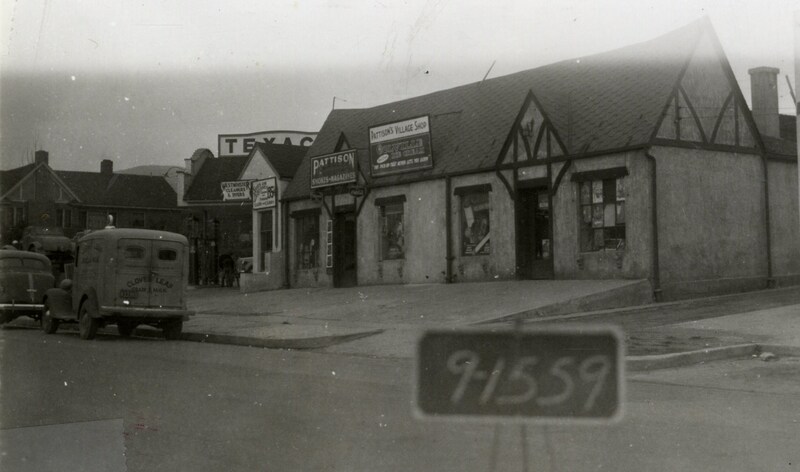 This entry was posted in Salt Lake history and tagged Salt Lake City businesses. Bookmark the permalink. 6 Responses to Where Is It? Thank You , no idea who it was. Was the cat named Shakespeare? Just a guess. Kings English bookstore on 15th East? I don’t know the cat, but it’s a small book store. Very interesting, I’ve been there before but would never had made the connection seeing that old photograph.